Hello Quick Quotes fans! 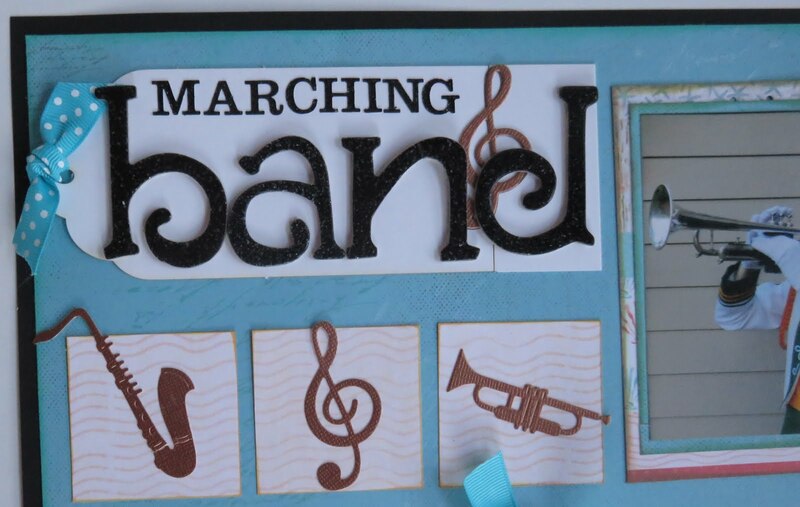 June hosting today and bringing you a fun layout using the April Club Q kit! This page was created from the Altered kit. 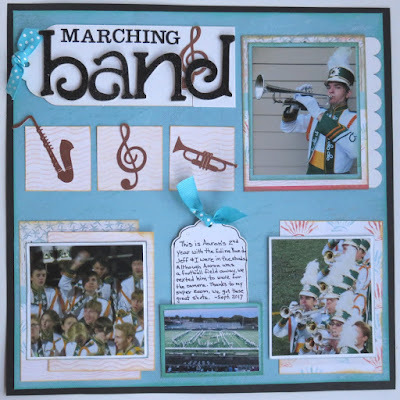 It was really fun taking the pieces from this mini album kit and making a standard layout. 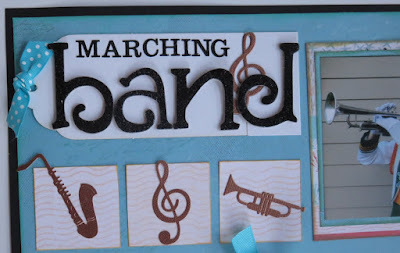 This page came together so easily and quickly as all the pre-cut papers go together, plus there are matching embellishments like ribbon and chipboard tags and scalloped borders. 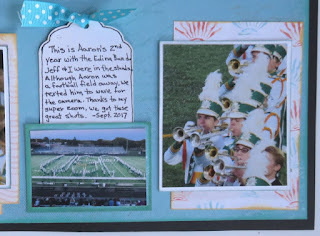 As my son's marching band uniform is green and yellow, I pulled in these colors using PowderPuff Chalking Inks in Seafoam, Desert Sun, and Feather Gray. The photos were printed with my Canon Selphy CP1200. I love that it can resize my photos to fit my page perfectly.